Included 100% pure & natural Essential Oils started alphabetically from L-R. 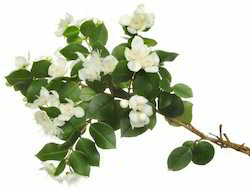 Odor Warm, Ambery, Sweet & Balsamic Note Typical Of Labdanum. 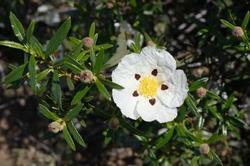 We are the leading manufacturer and suppliers of Cistus Labdanum Oil. Reconstituted from Labdanum Concrete which is processed in house. Warm, Ambery, sweet & balsamic note typical of labdanum. 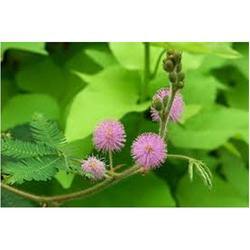 Labdanum is used extensively in cosmetics, Incenses and fragrances. Used as fixative to introduce a rich suave sweetness and natural undertone. Fragrance Industry,Flavour Industry, Pharmaceutical Industry, Food Industry, Cosmetic Industry , Incense Industry. We are one of the accredited manufacturers and suppliers of a premium range of Laurel Oil. A-pentene, B-pentene, Miocene, limonene, linalool, methyl chemical, neural, a-terminal, geranial acetate, eugenic and cervical are the constituents used to formulate this oil. We pack this oil using premium quality material to retain its effectiveness. Odor Herbaceous, Fruity, Fresh, Camphorous. Constituents a-pinene, B-pinene, myrcene, limonene, linalool, methyl chavicol, neral, a-terpineol, geranyl acetate, eugenol, cavicol. 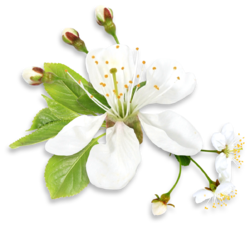 We have added a precisely formulated collection of Neroli Oil in our catalog for meeting different demands of the customers. Having rich alcohol soluble properties, this oil is also compatible with different types of organic solvents. Having almost no color to slightly light yellow color. 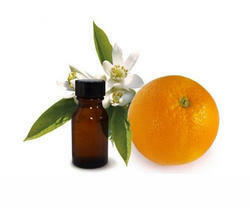 Clients can avail from us a precisely formulated range of Neroli Oil. This oil is processed at our wide processing unit, which is equipped with latest machines and tools. Apart from this, we ensure to test this oil on strict quality grounds, therefore ensuring that it meets required standards and norms. We are the leading manufacturer and suppliers of Lavandin Oil. It is manufactured using good quality raw material keeping the best level of purity. Pertaining to the clients' requirements, we are engaged in processing and supplying quality assured Pine Oil. This is processed under clean environment conditions, using quality ingredients that are obtained from the certified vendors of the market. 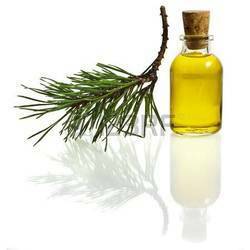 Pine oil is most useful to relieve mental, physical and fatigue, while having a cleansing and invigorating effect on an area and is great for vapor therapy in a sick room as it promotes healing. 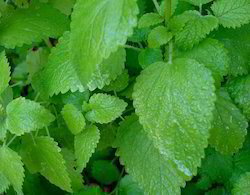 It can be used for cuts and sores, scabies and lice and for excessive perspiration, while its warming properties help with rheumatism, arthritis, gout, muscular aches and pains and it can stimulate circulation. 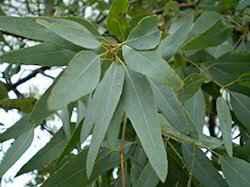 Furthermore it can help in cases of bronchitis, asthma, catarrh, coughs, laryngitis, colds and flu. It eases breathlessness and sinusitis. Although pine and pine needle oil is considered non-toxic and non-irritant in low dosage it should still be used with care on the skin, since it can cause irritation in high dosage and may sensitize the skin as well. The oil from the dwarf pine (Pinus mugo. var. pumilio) is a dermal irritant and a sensitizing agent. Should you be prone to allergic skin reactions or are pregnant - rather give this oil a miss. 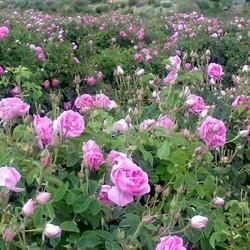 Odour Pleasant, Piny with Sweet Floral fragrance. 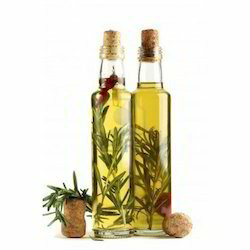 Counted among the illustrious processors and suppliers of Rosemary Oil, we have marked a noticeable position in the industry. Used as a fragrance, this oil is widely demanded by number of customers across the nationwide market. We also provide customized packaging facility to clients' as per their demands. Odour The odour is strong, fresh, woody-herbaceous, somewhat minty-forest like odour. The fresh notes vanish quickly yielding to a clean woody-balsamic body note which tones out in a dry herbaceous but very pleasant & tenacious bitter-sweet note. 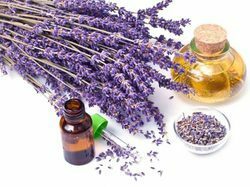 On the skin, lavender oil tones and revitalizes and it is useful for all types of skin problems such as abscesses, acne, oily skin, boils, burns, sunburn, wounds, psoriasis, lice, insect bites, stings and also acts as an insect repellent. Colour Almost colorless to Pale Green with reflection of Yellow. Odour Fresh, Sweet, Green, Flowery note. 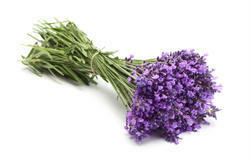 Use Used in Fresheners, Soaps, Aromatherapy, Cosmetics, and Perfumery Compounds. 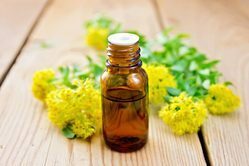 Marjoram oil has a warming action and calms emotions, relieves anxiety as well as stress and helps to calms hyperactive people. It has good muscle relaxant properties and the pain killing properties are useful for rheumatic pains as well as sprains, strains and spasms, as well as swollen joints and painful muscles. It soothes the digestive system and helps with cramps, indigestion, constipation and flatulence and has a beneficial action on colds, sinusitis, bronchitis and asthma. Marjoram oil is non-toxic, non-irritant and non-sensitizing but should not be used during pregnancy. Odour The odour is having a Spicy Aromatic Camphoraceous & Woody odour reminiscent of Nutmeg & Cardamom. The flavour is Spicy Warm Aromatic & somewhat bitter. 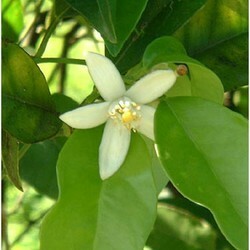 Available with us is a Neroli Oil, which is processed by our diligent professionals. This oil is processed in cohesion with the set industry norms and guidelines, therefore getting in-tune with the multiple choices of customers. Further, to ensure that this oil possesses no foreign element, we test it on the basis of strict quality parameters. Colour Almost colourless to light Yellow. 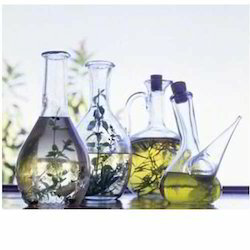 Use Used in Freshners, Soaps, Aromatherapy, Cosmetics, and Perfumery Compounds. 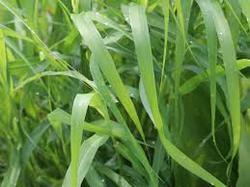 Odour The odour is strong, sharp, pungent & fresh-grassy Lemon type, Herbaceous or Tea like odour. 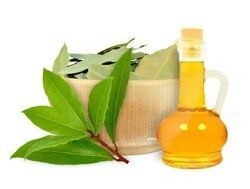 We are a renowned organization, which manufactures Myrtle Oil for our esteemed clients. This oil is processed using latest techniques at our processing unit, which is outfitted with latest machines and techniques. 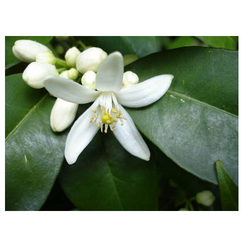 Varying from pale yellow to orange color, this oil has fresh camphoraceous and spicy floral odor. Customers can avail from us Rose Wood Oil that is available in various capacities at market leading prices. This oil is extracted from the original rose wood, which is obtained from the trusted sources of the market. We also have a team of expert quality controllers, which checks this oil on certain well-define parameters. It is used with good results in reducing headaches, colds, coughs, fever and infections and is a boost for the immune system. Odour The Oil Have Sweet, Slightly Woody, Characteristic Odour. We are the leading manufacturer and suppliers of Petitgrain Oil. It is manufactured using good quality raw material keeping the best level of purity. 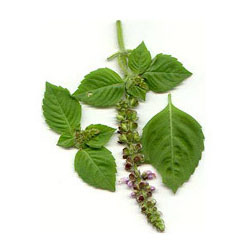 We are the leading manufacturer and suppliers of Patchouli Oil. It is manufactured using good quality raw material keeping the best level of purity. 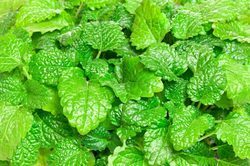 Patchouli oil has grounding and balancing effect on the emotions and banishes lethargy, while sharpening the wits, fighting depression and anxiety. It is also said to create an amorous atmosphere. It is effective for fungal and bacterial infection and is of great help for insect bites. It could also be used as an insect repellant and is also used as a support for dealing with any substance addiction. With its excellent diuretic properties, it is effective in fighting water retention and to break up cellulite, easing constipation and helping to reduce overweight. Keeping in the varying needs of the customers, we have added a precisely formulated array of Ocimum Sanctum oil in our catalog. This product is processed at our state-of-the-art processing unit, using pure and effective ingredients. Clients demand this oil for its excellent solubility in all proportions of 90% alcohol. Palmarosa oil calms the mind, yet has an uplifting effect, while clearing muddled thinking. 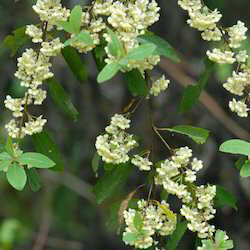 It is used to counter physical and nervous exhaustion, stress-related problems and nervousness. It is most useful during convalescence and cools the body of fever, while aiding the digestive system, helping to clear intestinal infection, digestive atonia and anorexia nervosa. It is effective in relieving sore, stiff muscles. Palmarosa oil has no known contra indications and is considered a non-toxic, non-irritant and non-sensitizing essential oil. Odour The odour is Sweet, Floral, and Rosy. Botanical Source Cymbopogon Martini varieties Motia. 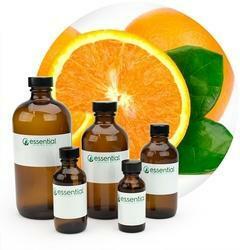 Looking for Essential Oils ?